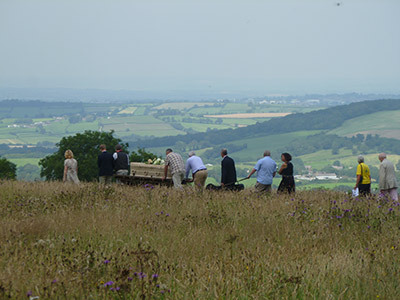 Natural Burial is an attractive alternative to cremation, or interment in traditional burial grounds. For some, this may be principally an environmentally-friendly option. 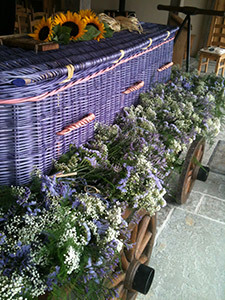 For many, it simply offers a more natural and relaxed approach than having to submit to set time-slots at crematoria, or the rigid formality of some local cemeteries and churchyards. 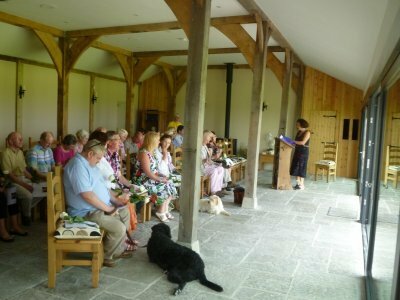 We are lucky to be so close to the award-winning Higher Ground Meadow Natural Burial Ground, which offers not only a beautiful, well-maintained location with stunning views of the local countryside, but also an exceptional barn-conversion to host a service or ceremony.